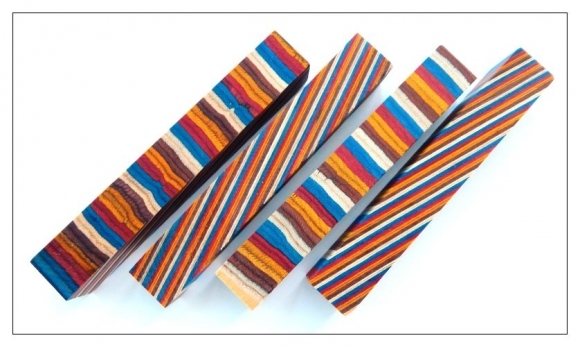 Colourful multi layered wood pen blanks. This is for 1 blank only. This is an example of the blank you will receive. Size of the blank is 130mm x 20mm x 20mm. Please note the size supplied has a manufacturer specification of +/- 2mm.